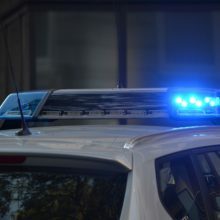 Traffic infractions are those violations under Title 46.2 of the Code of Virginia that aren’t punishable as a misdemeanor or felony and instead are what come to mind for most people when you mention a traffic ticket. It’s a charge for a non-criminal offense that is handled by paying a fine and sometimes results in demerit points on the person’s driver’s license. In contrast with a misdemeanor or a felony, a traffic infraction is far less severe and will likely only carry fines, while a misdemeanor or felony would likely carry a jail sentence and impact your criminal record. Additionally, the penalties for an infraction go away eventually, while a misdemeanor or felony (if you are convicted) will stay on your record forever. Any matter heard in the General District Court can be appealed within ten calendar days. An appeal causes the case to be heard De Novo in the Circuit Court. This means that there will be a completely new trial, as though the first trial had never happened. The severity of the penalty is going to depend on the nature of the charge, the defendant’s history and background, and the circumstances surrounding the incident. The number of years that the conviction stays on your DMV record is in parentheses beside each violation. Demerit points will also be assigned to your record for traffic convictions incurred other states. The length of time that a conviction stays on your record depends on the severity of the violation. If you are receiving an order or notice of revocation, suspension, disqualification or cancellation, your conviction could remain on your record for even longer than specified in the lists below. If you are convicted of a moving violation and receive demerit points on your record you may want to consider a Virginia DMV approved driver improvement course. The court may order the course or, depending on your violation you may take the course voluntarily to recover demerit points. Successful completion of the course will recover 5 positive points on your driving record and if taken before your court date may assist you or your lawyer in persuading a judge to reduce or dismiss a charge against you. Be sure that the course you choose is a Virginia DMV approved course to ensure credit and check with the local jurisdiction to ensure whether that court will accept online courses. Having a qualified and experienced traffic lawyer fighting on your side is important. Driving is a privilege that many people take for granted until it is taken away and is not something most people would readily give up. Traffic convictions can create a number of problems for most people including losing your license, increased insurance premiums, possible jail, fines, criminal records and even loss of hiring opportunities, jobs or security clearances. Be sure you have a qualified lawyer representing your interests and assuring the best possible outcome for your case. At the Law Office of Michael S. Davis, we would be happy to discuss your situation at no cost and help you determine your best course of action.